This application is an user-friendly and powerful program for all people who have to travel in their job and who are employed in Germany. 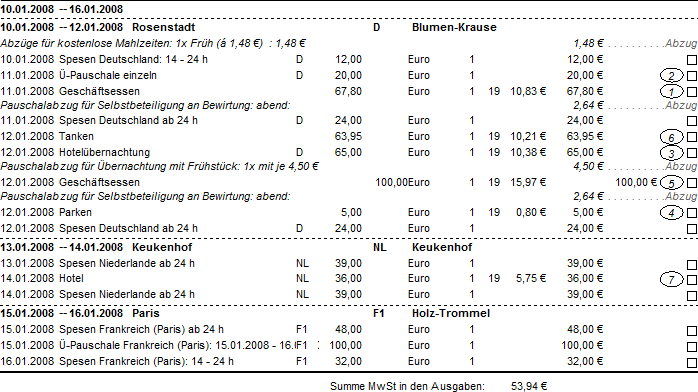 First of all, both versions of Reisekostenabrechnung (2 and 3) are up to date. The new version can handle now travels which have stops in different places, even different countries. In case you don't want to use the enhanced functionality and are satisfied with the present version, there is no need to change your version from v2 to v3. This software manages all your business trips, expenses, allowances for travels in Germany and abroad. You can enter all the expenses you had during the journey and divided into special categories. 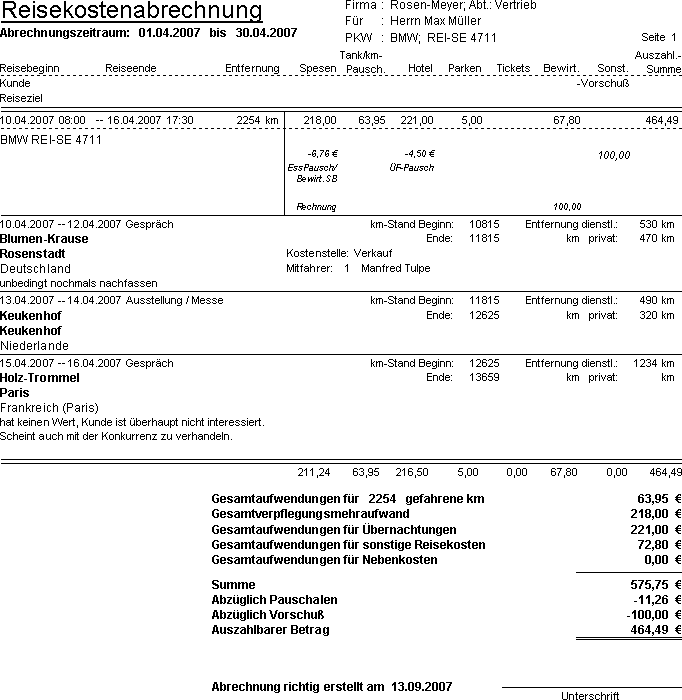 The software calculates the daily allowances and takes care of all the deductions to be made according to the German government regulations. All the data regarding allowances since 1999 is in the program. 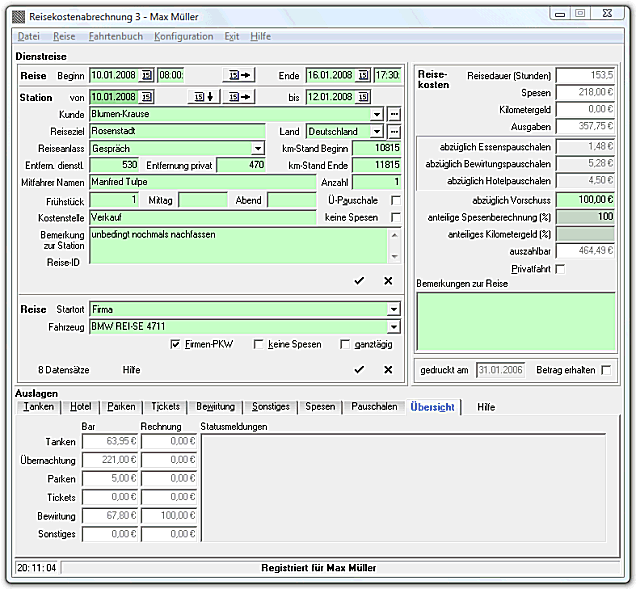 Since this software is intended to produce reports for German tax declaration using special German rules and regulations, the user interface is written entirely in German language.